Over 2200 mailbox styles to choose from, all in stock, shipped directly from Los Angeles CA, or Redmond WA. They’re family owned and operated here in Oregon, and they build a monster of a mail box that you can’t pry open, or even crush with a MAC truck! I wonder if it’s bulletproof? Just check out the short movie to the right. Wow! Another family owned and operated business, Salsbury Industries has been in Los Angeles, California for over 70 years now. With a wide variety of quality products, and a commitment to customer service, they are well positioned to meet the growing needs of the mailbox and locker industries for years to come. Be sure you get one that will last, and that is made of solid weatherproof material. Are they all keyed individually, or are there just a few tumbler styles to choose from? 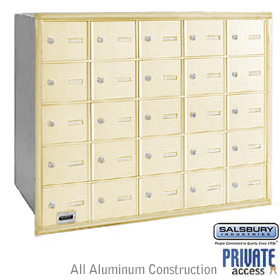 Choose a security mailbox that is approved for use by the Postmaster general. Get one that will not need professional installation, unless you’re prepared to pay much more for it. Consider where you want the mail retrieval door. Some are located in the rear. Be sure all exposed lock surfaces are tamper and wrench proof. Is the construction welded together, or just pop-riveted? Mail theft is on the rise! Your tax return is at the top of the list for thieves. Is it time to upgrade to a secure locking mailbox? We sell the top locking mailbox products designed to deter mail thieves. How Strong Are Mailboss boxes? This video showcases Mail Boss locking security mailboxes by Epoch Design. Features the curbside Mail Boss, Package Master commercial mailbox, and wall mount Townhouse Mail Boss.